The 15th Annual Ronald McDonald House Classic Golf Tournament did not disappoint. 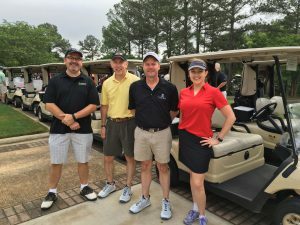 With over 40 teams and 152 golfers, Robert Trent Jones at Oxmoor Valley was flooded with individuals enjoying a day on the links to support Ronald McDonald House Charities of Alabama. Luckily, the course was not actually flooded and the rain held off until the tournament was over. After registration and breakfast from McDonald’s, each foursome started with our 9:00 am shotgun and the day concluded with lunch provided by Jim N Nicks and the awards ceremony. Our Golf Co-Chairs, Jamie and her father, Jim Black did an amazing job planning the event and ensuring that fun was had by all involved. This year, we had added in some extra fun on the par-5’s — each one had a “big cup” — an 8-inch hole. Thanks to each sponsor, volunteer, and golfer, we were able to raise over $83,000 that will go toward keeping families close. 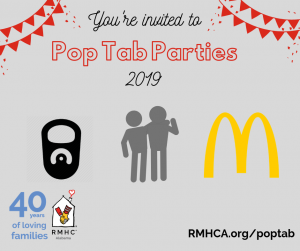 It costs RMHCA $95/night per family and with 41 families a night, this will cover more than 21 nights for the entire House. Stay tuned for details on our 16th Annual Golf Tournament as we can promise this event continues to get better each year. View all the pictures from the event on our Flickr page!